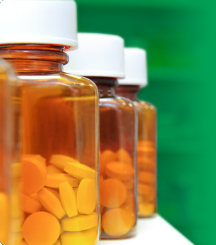 Keep copayments and out-of-pocket costs under control with our three-tier benefit drug plans. In a three-tier benefits plan you have a variety of options and control over your out-of-pocket expenses. In general, generic drugs are in the lower copayment tiers. To save on out-of-pocket costs, ask your physician to prescribe generic drugs whenever possible. Also, covered over-the-counter products are in tier 1 as well as any brand name drugs in quality initiative programs. In the middle tier you’ll find brand-name drugs that CDPHP has classified as "formulary" drugs because they offer a clinical advantage at a reasonable cost. You may find a generic drug in tier 2 if it is not as cost-effective as a tier 1 generic. In the third tier are brand name and generic drugs which do not offer a significant clinical and/or cost advantage over a tier 1 or 2 drug. Certain drugs are excluded from coverage. These drugs require a medical exception request to be considered for possible coverage under the prescription drug plan. Keep in mind that your exact out-of-pocket payment will depend on which rider you or your group select and the tier status of the drug approved. Refer to your benefit information for copayment amounts.